Social media is much more than a means to share vacation photos, it can be used as a serious marketing tool to reach key publics. Nonprofit organizations especially can use this means of communication to their advantage by engaging with donors and sharing inspiring messages. Facebook lets you do a little bit of everything; you can post pictures, videos and text, in any tone, to a fairly diverse audience. Make sure your content is shareable! Use when you have a lot to say; this is the best place for a long-form post. Facebook is also great for sharing links! Go live! Live streaming allows everyone to feel like they are at an event, even when they are miles away. This is a great way to reach the hearts of viewers with inspiring speakers, demonstrations or charity galas. 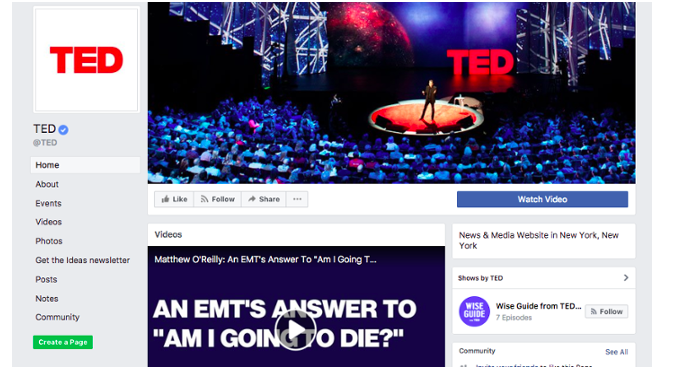 Ted is the most followed nonprofit on Facebook. This is likely due to the popular video content linked to the page. It's all about the image. Use eye-catching pictures and videos accompanied by clear, concise captions; and don't forget hashtags! Use when you want the visual content to be front and center! Instagram is all about the images. Use hashtags! Hashtags are a way to catalog photos. If a person is searching for charity walks in Boston, they may search #Bostonwalks. When you upload an image or video, be sure to include any potentially relevant hashtags in the comments. 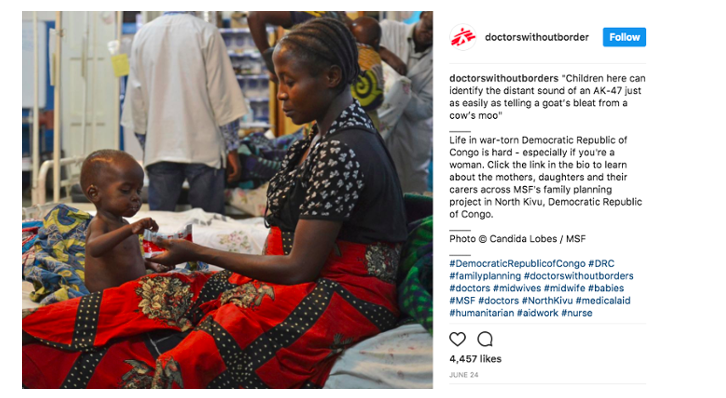 Doctors without borders posts high-quality, heart warming images to Instagram that inspire followers #winning. You've got a limited amount of characters to make your point, be as concise as possible. Also, don't forget to include images, links and hashtags! Use when you want to get points across quickly and efficiently, you can always link to more content. Take advantage of the new 280 character limit! Twitter recently upped the character limit for select users. Check your account and see if you're eligible to tweet out double the awesome content! The American Heart Association has a great Twitter that utilizes hashtags, stays up to date on current events and include plenty of eye-catching images. LinkedIn is a site for professional networking. When you are looking to target a specific business, student group or you're looking to hire. Let LinkedIn help you! The LinkedIn for Nonprofits page is a helpful resource to assist you in doing eveything from simply building a network to finding donors and volunteers. The American Red Crosshas a large following on LinkedIn. Regular Snapchat pictures and videos disappear after 10 seconds or less; stories last for 24 hours. Use Snapchat when you are targeting young people, or want to capture something in the moment. Make a geofilter! A geofilter is a location-based image that you create! Users have the option to attach this filter on photos they are sharing with their friends. Use this feature to promote events. The World Wildlife Fund utilized the disappearing nature of the app to show donors how endangered animals will dissapear without the help of donations. Follow these tips, and try to get your nonprofit on all the forms of social media you can! This will help you to reach a wider audience, and more effectively share all the great work your organization is doing.